We are very proud to be featured in The Ethical Brand Bible by fellow Dutch trailblazer Marieke Eyskoot, endorsed by ethical fashion pioneer Katherine Hamnett. See ‘vanzeebeauty.com’ circled in red in screenshot below. This is a Good Guide, for a sustainable lifestyle. Helps you live a bit more consciously, with minimal time, money or effort. It’s filled with practical and positive tips regarding fashion, beauty, food, home, work and leisure, and shows that stylish and sustainable go very well together. And especially that it’s about good, not perfect: about smart choices, doing what you can and what suits you. 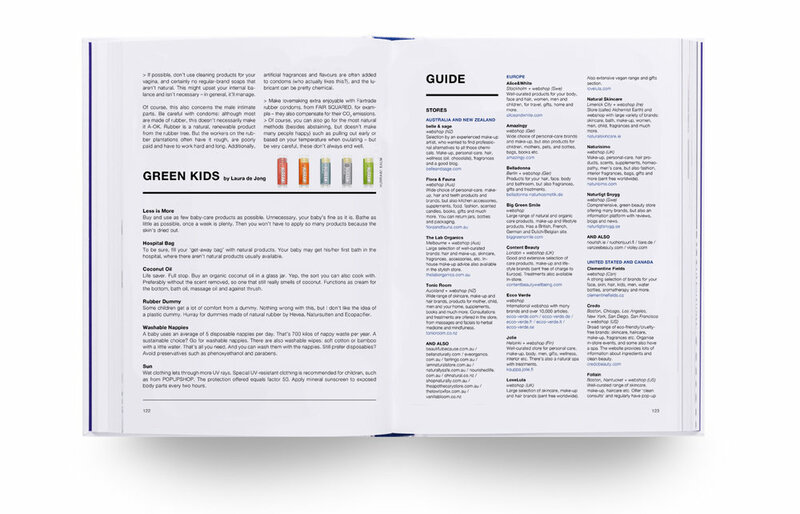 With this modern handbook, sustainable fashion and lifestyle expert Marieke Eyskoot makes green and ethical living fun and doable.